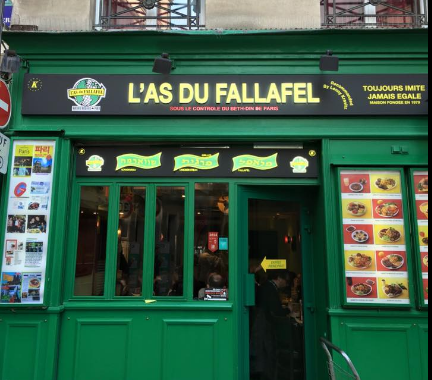 Do you know that there is one very famous fallafel sandwich restaurant in the heart of Marais? There are a lot of them there actually. However you will find one with a long line. Yes, that is what I am talking about, l’as du fallafel. This is too famous among locals and tourists alike and some of you might already know it. But please allow me to introduce this outstanding restaurant. You know what? 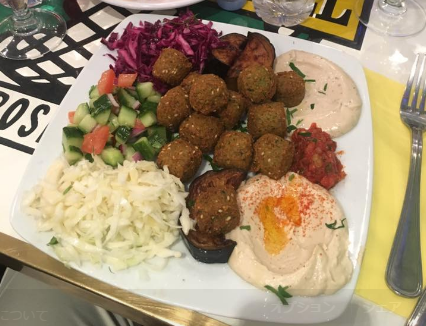 As a foodie, I can never skip the very best Fallafel in Paris and why not share with you? l’as du fallafel stated 1979 as a kosher Middle Eastern restaurant. 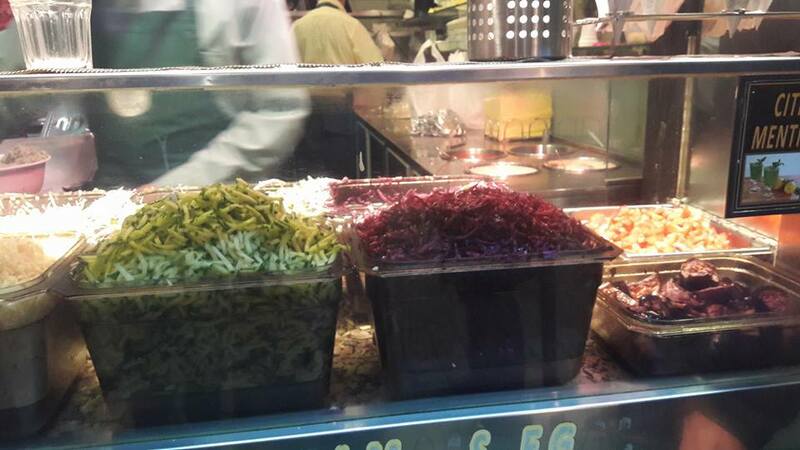 Since then, it gathered people’s attentions certainly with their great Fallafel and got a honor currently. At the same time, it got the New York Times coverage and even international stars are regular customer of l’as du fallafel. However, l’as du fallafel has never tried to make itself bigger and no matter how good reputations they get, they just keep being themselves as if they don’t care how people judge them. We can say their soul has been always there ever since they started. A Fallafel(6€) at l’as du fallafel is simply awesome. Everything is balanced rightly. Even a looking, overflowing topping and sauce, is so great and once you will be handed, you can not wait to give a first bite. 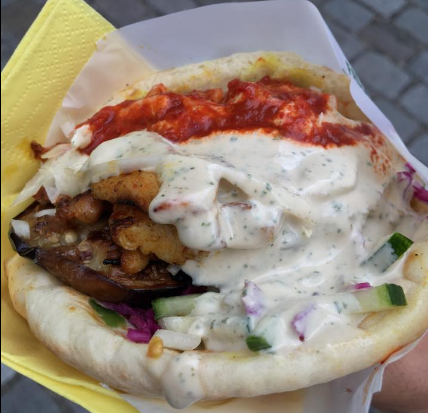 The Fallafel is a sandwich of pitas. They pile chickpea fritters, pickled red cabbage, salted cucumbers and fried eggplant in crispy pitas and sprinkle harissa and hummus on the top. The adequate hot taste, the adequate acidity easily let you finish that big portion. You can opt for having inside or taking away. If you take a table inside, they will charge you additional few Euros. Absolutely, taking away is recommended. When you look around, you will find that you are not alone. 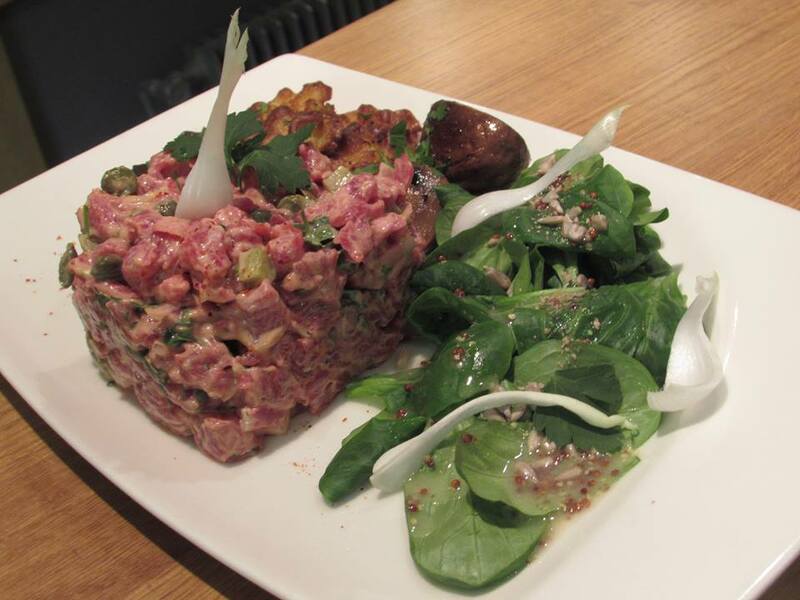 To eat Fallafel with feeling the ambiance in Marais is just good. If you prefer take away, please line up for that(there are 2 lines for eat in and take away). During you are waiting in the line, the staff comes to you to take an order, so please order and pay there and get a ticket. After that, give that ticket to the staff behind the window, then they will make Fallafel for you. You can ask what you want or you don’t want as toppings and customize as you like. Even if you find a long line, please do not give up. The line moves really fast and doesn’t take your time much. I promise you that the Fallafel worth it. When you order, please do not forget to take a fork and as many napkins as you can grab. 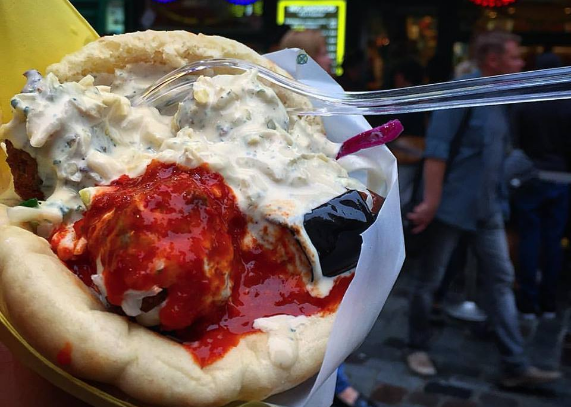 While you chomp on Fallafel, harissa and hummus are keep dropping. So be careful not to drop sauces on your clothes. How to eat I recommend is that starting from some topping inside with fork, after the sandwich get thinner, you can finally give a big bite! That way, you don’t have to make up with colorful sauces. If you don’t feel like Fallafel, they have other options for you. Schawarma, Sausages, plate menus…etc. Especially, Schawarma is the second popular menu at l’as Du Fallafel. If you prefer meat, please go for it! Also if the sandwich seems too much to you, the plate one is recommended. 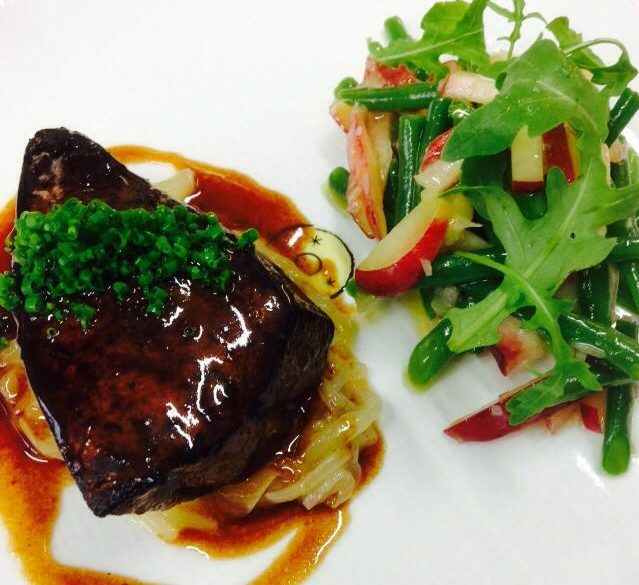 In the heart of Nice, there is a bistro named L'ecole de Nice. 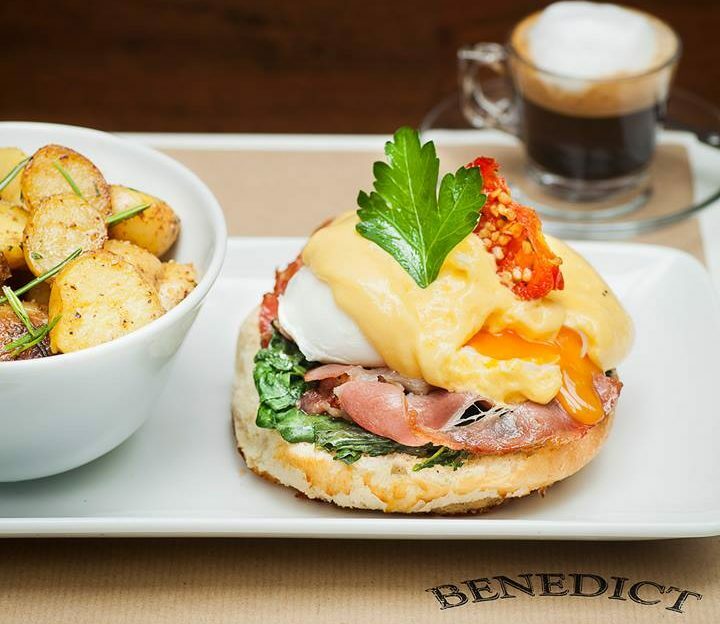 It offers you traditional French cuisine and was opened by Japanese-Michelin-starred chef.